Island Health is pleased to announce some upgrades in services and infrastructure at hospitals that serve Nuu-chah-nulth communities. It has been nearly seven years since Tofino General Hospital was forced by Transport Canada to close its helipad until upgrades were made. With no resources to make the necessary upgrades, patients requiring urgent care at other hospitals were transported more than 18 kilometers from Tofino General to the Tofino Airport, where they would be flown to larger hospitals. “Since the helipad was taken out of service, patient transfers that require transport by air have taken place at the Tofino Airport. Ground transportation of other patients not requiring air transport continues by road,” said Cheryl Bloxham, Island Health Communications. On Aug. 13, Island Health announced that a new helipad will be built at TGH, allowing helicopter access to resume in 2019. The new helipad will be built on Tofino General Hospital Foundation lands located adjacent to the hospital close to the existing helipad. A request for proposals for construction will be issued in the coming days and work will begin once the tender is awarded. Funding for the new helipad comes from a partnership between Island Health, the Tofino General Hospital Foundation and the Alberni-Clayoquot Regional District. Project costs will be shared, 60 percent by Island Health and 40 percent by the ACRD. 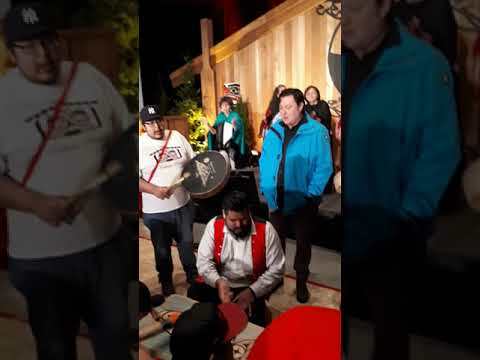 “The helipad will help to ensure residents and visitors to Tofino have access to critical emergency care if they need it,” said Scott Fraser, MLA for Mid-Island - Pacific Rim. Over in Port Alberni at the West Coast General Hospital, patients and visitors will now have free access to the internet on their devices. Island Health announced Sept. 6 that patients and visitors at West Coast General Hospital will now have access to free Wi-Fi services thanks to support from the West Coast General Hospital Foundation. Health Minister Adrien Dix thanked Cowichan Lake resident Sarah Gibson for starting a petition to ask for free public Wi-Fi for patients at hospitals. Gibson lives with Cystic Fibrosis and was forced to use her data plan during hospital stays, causing a financial burden. “Her efforts led us to develop a creative solution to provide free Wi-Fi at West Coast General Hospital,” said Dix in a press release. He acknowledged the auxiliaries and foundations that helped to deliver the services, saying it will allow patients to stay more connected. Patients and visitors can access the service by searching for and connecting to the wireless network “IslandHealthGuest” on their devices. The free public Wi-Fi will support basic internet browsing but not the large bandwidths associated with high-definition video streaming. The annual cost for the services is estimated to be up to $2,000 annually. The WCGH Foundation has committed to pay the operating cost. The WCGH is one of five Island Health hospitals to introduce public Wi-Fi in September 2018. The other four hospitals offering the new service are Victoria General Hospital, Royal Jubilee Hospital, Cowichan District Hospital, and Lady Minto Hospital on Salt Spring Island. Nanaimo Regional General Hospital and both north island hospitals in Comox and Campbell River have had free public Wi-Fi service since 2017.